Patrolman Frank Neighbors was struck and killed by a motorcycle while he was on foot patrol. 83 years-gone but not forgotten. Your memory will be honored this Thursday during our memorial service. 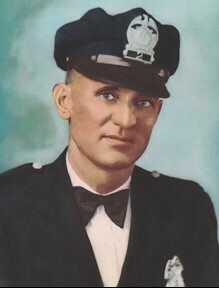 While I never knew you I see your name weekly on our memorial and imagine how police work was in the 20's.